After you have been injured in a car, truck or motorcycle accident in Nebraska it can be an overwhelming experience. You may feel depressed and frustrated. It is normal to worry about your health and money after an accident. 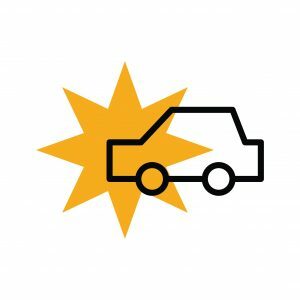 You do not want to be uncertain about how to hold the at-fault driver and their insurance company responsible for your damage. An attorney who specializes in Nebraska injury law is who you need on your side. Steven A. Montag has the knowledge and experience need to effectively present your claim to insurance adjusters and to your case for litigation. There are many benefits of retaining a personal injury specialist. The Montag Law Office provides a high degree of personal service. We care about the people we work for and always fight hard for our clients. After you have been injured in a Nebraska motor vehicle accident that was someone else’s fault, we can help get the compensation you deserve. Knowing the details of Nebraska injury law is an essential part of making successful injury claims. There is no substitute for the counsel of an experienced and skilled injury lawyer. We provide free initial consultations. That way you do not have to spend money to see if you would benefit from the services of an attorney. We conduct a thorough Initial investigation of each claim. We use information from the police report and we contact witnesses to document each case. One of the first requirements of making a successful property claim and injury claim is to prove fault. You need to know where you stand as soon as possible after an accident. We can evaluate the strength of your case. When you have been injured as a result of someone else’s negligence it is appropriate to hold the at-fault driver responsible for his or her actions. We help clients fill out individual accident reports. Whenever a motor vehicle accident involving more than $1,000 of property damage or any injuries occurs in Nebraska, an individual report needs to be completed by each driver. The state form is long and detailed. It is supposed to be completed within 10 days of the accident. If it does not get completed your driver’s license could be suspended. We do not want that to happen to any of our clients and we can help. We help our clients Understand how current Nebraska law applies to their accident. Nebraska motor vehicle Tort and Negligence laws change and evolves over time. We keep informed about changes in Nebraska laws and their practical applications. Corresponding with doctors and hospitals is an important part of preparing each claim. We collect large volumes of medical records and bills for our clients. We also frequently have doctors discuss your injuries and treatment and get opinion letters documenting their findings. We also often need doctors to testify as medical experts on your behalf. There are several steps involved in negotiating a settlement with the at-fault driver’s insurance company. Although the Montag Law Office handles the particularly sensitive communications for our client’s claims, we discuss each development with our clients. You are very involved in the claim. It is my goal to be sure that all of my clients make informed decisions about their claims. We always strive to present each client’s claim in the most favorable way to maximize compensation. Steven Montag has successfully negotiated thousands of injury settlements and he will not rest until he gets the best possible settlement for your claim. We also take injury claims to court when they are not able to be settled. We always attempt to settle claims before considering litigation. However, for a variety of reasons, an insurance company may not want to deal fairly with us when it comes time to settle the claim. I suppose I should consider this to be job security. There are times when it is necessary to take the claim out of the insurance adjuster’s hands and present it to a jury to get fair compensation. Call the Montag Law Office now for a free consultation and case evaluation!